“The current situation demands a rethinking of the usual demands of activists and civil society players with regard to ‘media literary.’ How can the general audience be better informed? Is this an acurate diagnosis of the current problem in the first place? How can holes be made in the filter bubbles? How can Do-It-Yourself be a viable alternative when social media are already experienced in such terms? And can we still rely on the emancipatory potential of ‘talking back to the media’ via the familiar social networking apps? How does manipulation function today? Is it still productive to deconstruct The New York Times (and its equivalents)? How might we explain the workings of the Facebook newsfeed to its user base? If we want to blame algorithms, how can we translate their hidden complexity to large audiences? 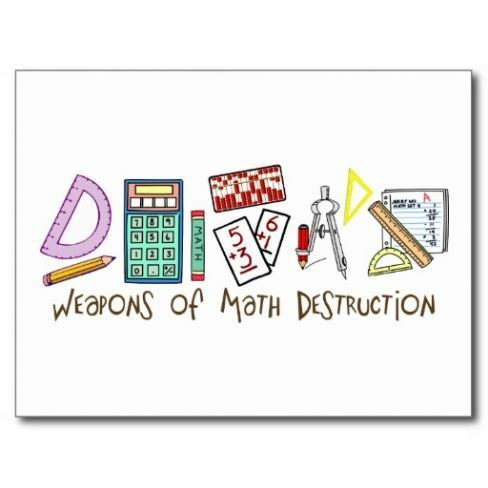 A case in point might be Cathy O’Neil’s Weapons of Math Destruction, in which she describes how ‘ill-conceived mathematical models micromanage the economy, from advertising to prisons.’ Her question is how to tame and, yes, disarm dangerous algorithms.